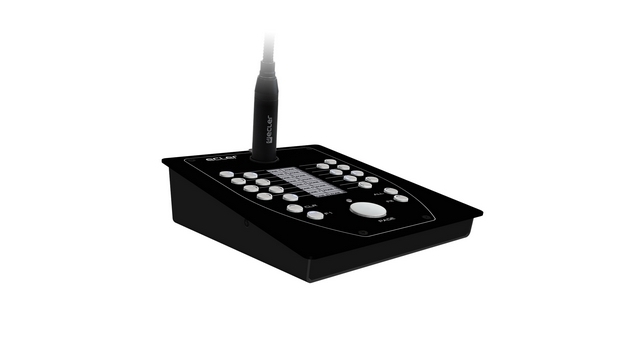 eMPAGE is a digital paging station (MPAGE16's evolution), compatible with eMIMO1616, MIMO88, MIMO88SG and MIMO1212SG digital matrixes. 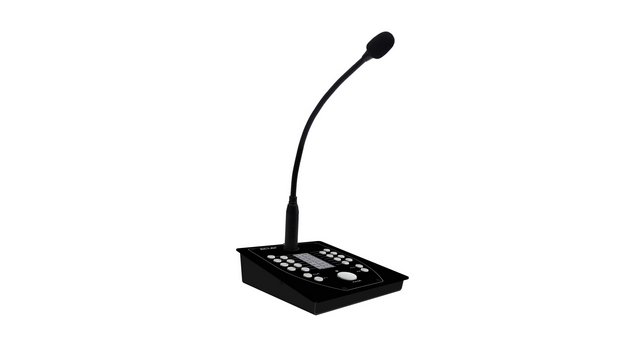 Includes: a gooseneck cardioid microphone (removable); 16 zone-selection keys; ALL, CLEAR and PAGE keys; 2 programmable keys, F1 & F2, for zone-group selection. Text labelling for destination areas by means of programmable electronic ink display. Dimensions (microphone excluded) 150mm x 180mm x 50mm. Weight 900g.